When we first met Cleo, she was bursting with energy and enthusiasm. But, she was very worried and unsure about interacting with people and other dogs. 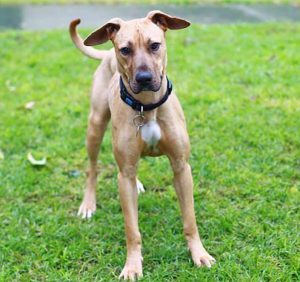 Cleo was placed into the Home’s Behaviour Program to build her confidence and teach her social skills so she could learn to politely interact with her canine friends. 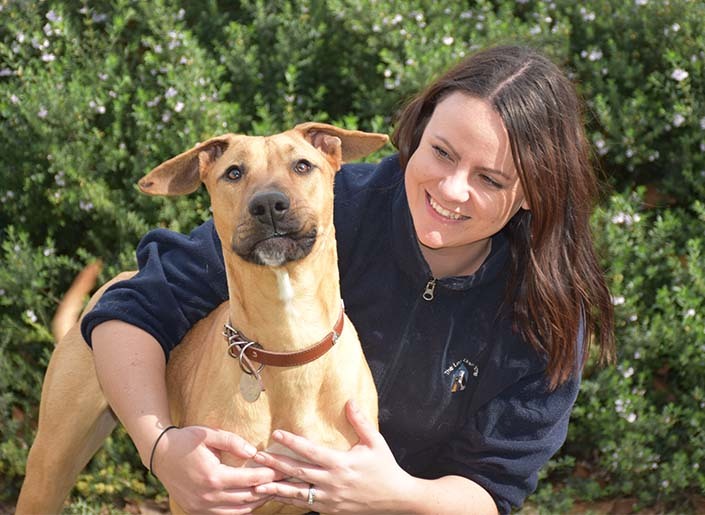 Gemma, behaviour trainer at the Home, has been working with Cleo for many weeks. “Cleo is really funny, and really, really smart,” said Gemma. With positive reinforcement training, Cleo has learned lots of skills and manners during her time with our behaviour team. “Cleo can walk beautifully on lead. She has also learned to ‘touch’ and ‘look’,” said Gemma. “Cleo has been trained to go to her mat, and she can stay on her mat even when nobody’s watching her. 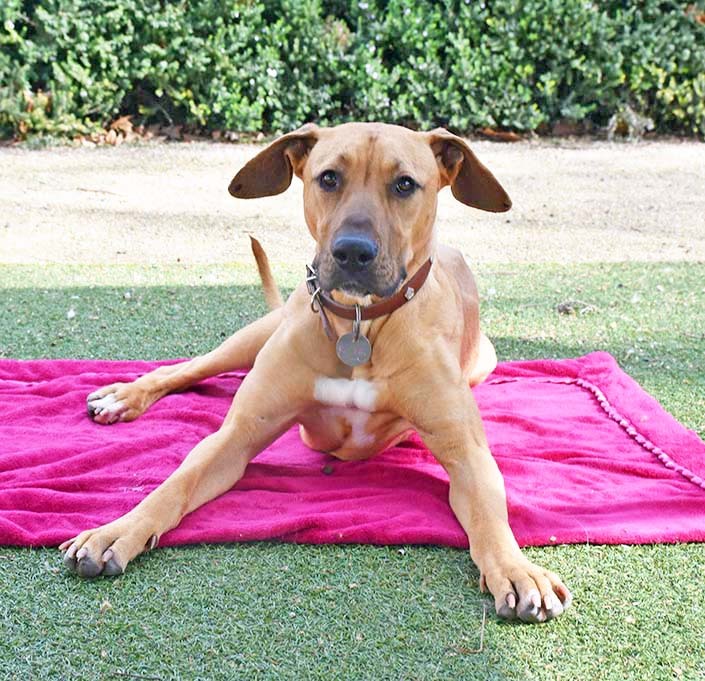 This has helped her a lot with her independence training, being able to settle nicely on her mat. Most importantly, Cleo has learned to interact with other dogs appropriately. She can now meet other dogs nicely, walk up politely and have a sniff, and then walk off. “When Cleo’s on a lead, she has learned that we have to be relaxed and calm. When she’s off-lead with other dogs, that’s when the exciting play can happen. Cleo has spent time with quite a lot of dogs here at the Home. She loves playing with other dogs – it’s her favourite thing. “What I love most about Cleo is when she plays with other dogs. Cleo alters her style of play depending on who her friend is. Cleo has mastered the basics and will thrive with further training in her new home. “The perfect family for Cleo would be someone who’s got a lot of time. She is going to need someone who can put in that time and commitment to continue her training,” said Gemma. Cleo is currently being treated for separation anxiety and will receive ongoing support from our behaviour team to help her settle into her new home. Can you offer Cleo a loving forever home? To learn more, view her adoption profile or contact our behaviour team on (03) 9329 2755.